Surface Plating: Zinc, Chrome, Nickel Plated, Electrolyte Copper and more. Threads: NPT, PG, Metric, DIN, BSP, EN and more. 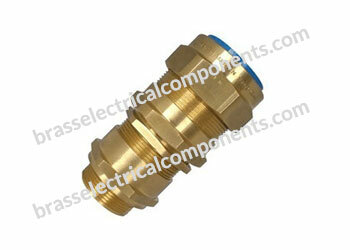 Safe, leak proof, flameproof and explosion proof glands. 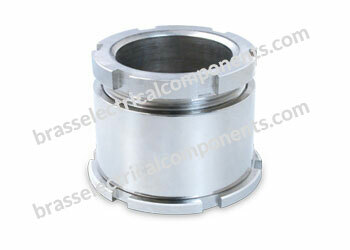 Displacement seal concept makes it suitable for Indoor and outdoor application. Provide an integral armour clamp for armoured cable which provides an electrical bond between the cable armour & the gland. 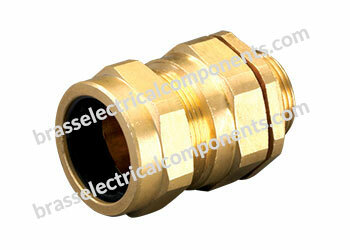 Provides mechanical cable retention and electrical continuity via armour wire termination. 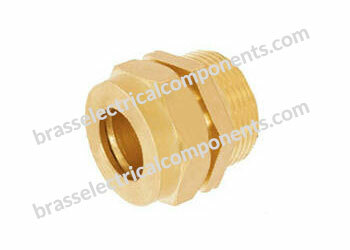 Various Cable Glands are also available in kits packs with different cable gland accessories as required. Avoid all mishaps & prevent any hazards to the health & property. 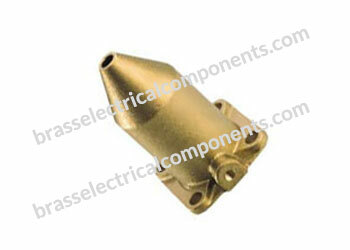 Used for different industrial Applications. 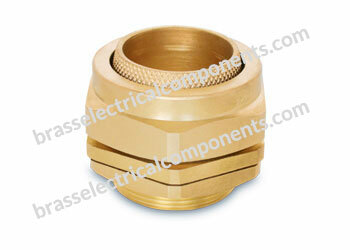 Provide a Single Pull Resistant Seal on the outer sheath of unarmoured cable. Metric & NPT Nickel Plated versions available. For use with unarmoured cables with rubber outer sheath. Secures outer sheath of cable. Suitable for most climatic conditions, weatherproof and waterproof. For circular, unarmoured plastic or rubber sheathed cables. Knurled armour lack produces a low resistance earth clip. Also available in GEL (cast integral earth lug). For use with armour or braided cable. Protect the armour wires from impact. For used in dry indoor conditions. Controlled outer load retention seal. For use with all types of Steel Wire Armour Cables and Aluminium Wire Armour Cables in indoor and outdoor conditions. Also provides a seal on the outer sheath of the cable. Ensuring no damage to cable sheathing. Used both indoor and outdoor in all climatic conditions as it is weatherproof and waterproof. Perpendicular and side-entry cable positions. Flexible and Provides Ease of Installation. Integrated o ring eliminates the need for an externally fitted sealing washer. 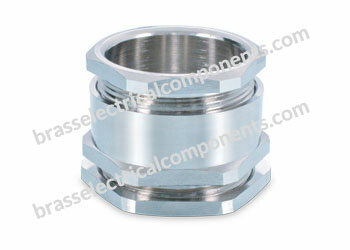 Available in Three Hole Flange Fixing as per custom specified. 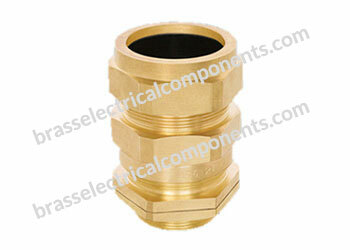 To provide a flameproof and weatherproof seal on the outer sheath of the cable. For use with non-armoured, marine shipboard, tray cables and different marine electrical fittings. Cable acceptance increments designed to maximize safety. High quality neoprene seals that retain their tension and are resistant to oil, chemicals and flame. Coated in a proprietary two coat plating process ensuring all metal components will not degrade. Used in dry indoor conditions. Used extensively in situations where fire and explosion are identified risks. Suitable for use in a variety of hazardous situations throughout the mining, industrial processing and petrochemical industries. Indoor and outdoor use in hazardous areas. Provides seal on the cable sheath. Simple and sequential installation process. Available with Outer Compression Seal. For Both Indoor and outdoor applications. For use with all types of unarmoured, elastomeric and plastic cables. Suitable for use in highly corrosive and wet locations. Recommended for use with braided, co-axial or SWA cables. A rubber seal compresses on cable to provide a tight fit against cable. Featuring four bolt fixing and central bore. Also known as Wiping Cone. Supplied with galvanised steel clamps to accept the steel wire armours (SWA) of MV cables. Suitable for medium voltage lead (Pb) sheathed power cables. Brass nickel plated body and locknut. Kit is complete with EMC locknut and assembly instructions. Long thread for use on thick or standard panels. 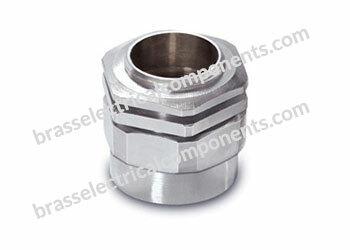 The locknut has raised edges which when tightened is intended to clean the contact are between the nut and panel. Designed to prevent Cold flow. For Grounding, Connection, Insulation, Sealing, Strain Relief and more application. Provide the highest degree of functionality and safety. A detachable armour cone and clamping ring arrangement allows the cable to be easily disconnected from the equipment, for maintenance and change out etc. For Circular, Galvanized Steel Single Wire Armour Plastic or Rubber Sheathed Cables with extruded bedding. Outer Seal grips sheath of Cable. Three part armour lock with separate armour locking ring. Ideal for use with Single Wire Armour (SWA) cable providing seal on the cable inner sheath and the cable outer sheath. Used in most climatic conditions weatherproof and waterproof. Used to gland or terminate all types of steel wire armoured SWA cables in both indoor and outdoor applications. Use with SWA or AWA cable in a heavy industrial, critical safety environment which is exposed to dust or extreme weather conditions.